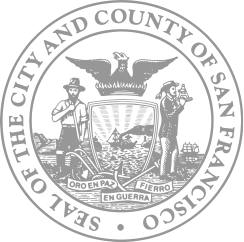 The purpose of the Heritage Conservation Element (formerly Preservation Element) of the San Francisco General Plan is to provide background information related to historic preservation and to outline a comprehensive set of objectives and policies for the preservation and enhancement of San Francisco's historic resources. Conservation and Preservation: What's the Difference? The term "conservation" is often used interchangeably with "preservation." However, "conservation" is more accurately associated with managing change to retain a resource's meaning in society. Federal and state programs have traditionally used the term "historic preservation" to describe the work of keeping buildings, sites, structures, and objects from destruction, and protecting tangible resources from irreversible alterations or changes. As a result, the word "preservation" has become associated primarily with the built environment. Therefore, the Department has adopted the term "conservation" to recognize work that safeguards both tangible and intangible cultural heritage. The Planning Department is resuming work on the Heritage Conservation Element, which will be a new Element added to the General Plan. It is being created with the belief that the preservation of historic resources is essential to maintaining the character of the City of San Francisco. Historic resources are often affected by development projects, and historic preservation is a strategy for conserving significant elements of the built environment while allowing for growth and change to occur. San Francisco residents and community organizations have a long‐standing commitment to historic preservation as one of the important contributors to the quality of life in San Francisco. Their activities have resulted in preservation emerging as a central value of citizens and government alike, and they have shaped San Francisco's planning and community development policies. That landmarks and historic buildings be preserved. The purpose of the Preservation Element of the San Francisco General Plan is to provide background information related to historic preservation and to outline a comprehensive set of objectives and policies for the preservation and enhancement of San Francisco's historic resources. Historic resources include buildings, sites, structures, cultural landscapes, districts, and objects that are historically and/or archaeologically significant. The City's General Plan serves to guide change to ensure that the qualities that make San Francisco unique are preserved and enhanced. The General Plan is based on a creative consensus concerning social, economic, and environmental issues. Adopted by the Planning Commission and approved by the Board of Supervisors, the General Plan serves as a basis for decisions that affect all aspects of our everyday lives from where we live and work to how we move about. It is both a strategic and long term document, broad in scope and specific in nature. It is implemented by decisions that direct the allocation of public resources and that shape private development. In short, the General Plan is the embodiment of the community's vision for the future of San Francisco. "the city planning commission to adopt and maintain including necessary changes therein, a comprehensive, long‐term, general plan for the improvement and future development of the city and county to be known as the master plan…." The San Francisco General Plan contains the following elements: Housing, Commerce and Industry, Recreation and Open Space, Transportation, Urban Design, Environmental Protection, Community Facilities, Community Safety, Arts and Air Quality. San Francisco generally updates their Elements one at a time. Phase 2 of outreach and public feedback on the next version of the Draft will begin in 2019.